(Newser) – The fact that a 62-year-old woman recently gave birth to a daughter is newsworthy—as is the fact that she left that newborn and two sons, aged 3 and 6, alone in a locked van for 38 minutes while she was inside a store. 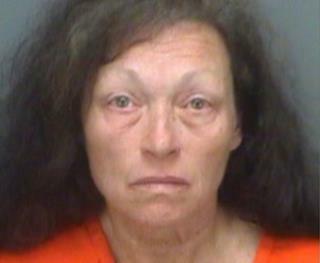 But that's just the beginning of a sad tale out of Florida: Police say Kathleen Steele's 6-year-old son beat his 13-day-old sister to death Monday while his mom was inside a cellphone repair shop in St. Petersburg. The boy told officers that he punched his sister in the face, flipped her upside down, banged her head on the ceiling, then let her fall to the floor, reports the Washington Post—all because she wouldn't stop crying inside the van. Sheriff Bob Gualtieri blames Steele, who described her IVF treatments on a reality show, and "is, by all accounts, ill-equipped to have a baby."